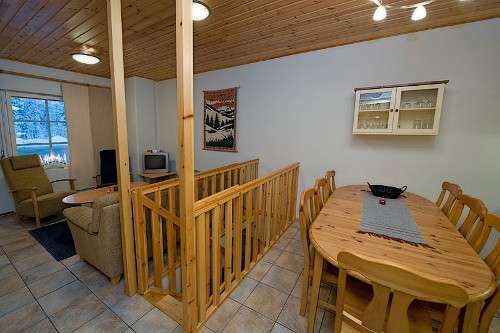 In two levels, downstairs 29,5m² + upstairs 46m², in the first floor of the house. 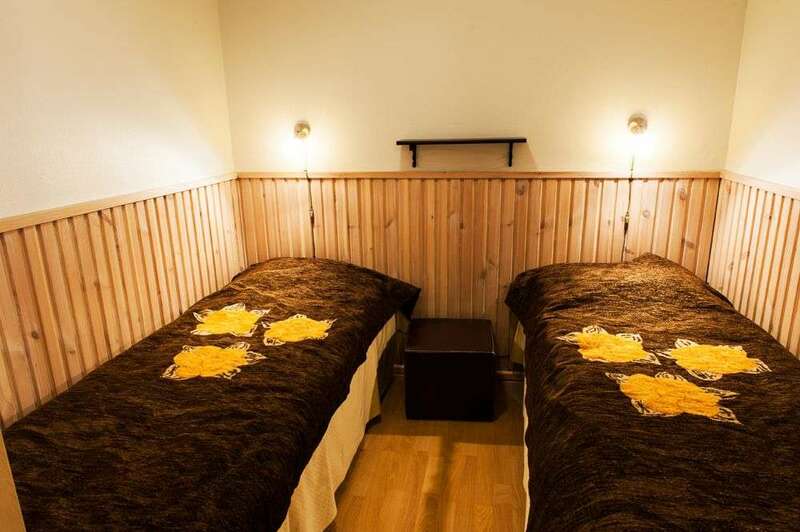 4 bedrooms with 8 separate beds, 2 are 120 cm size and one is a sofa-bed. 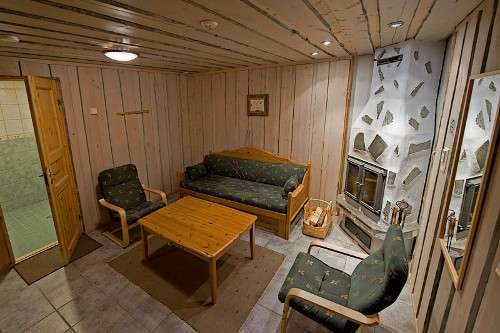 Upstairs: living room with an open kitchen, 2 bedrooms, fireplace and separate toilet. 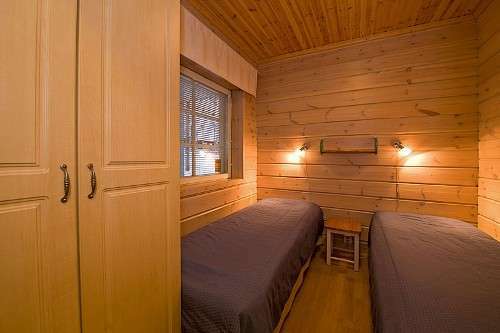 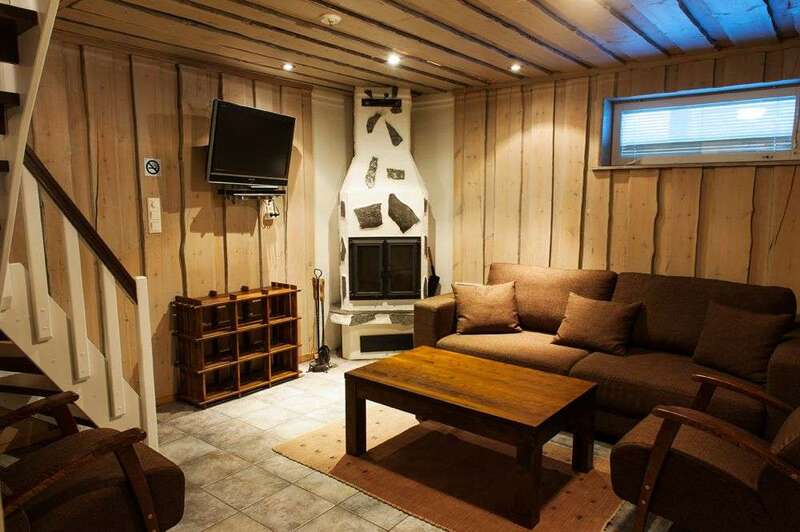 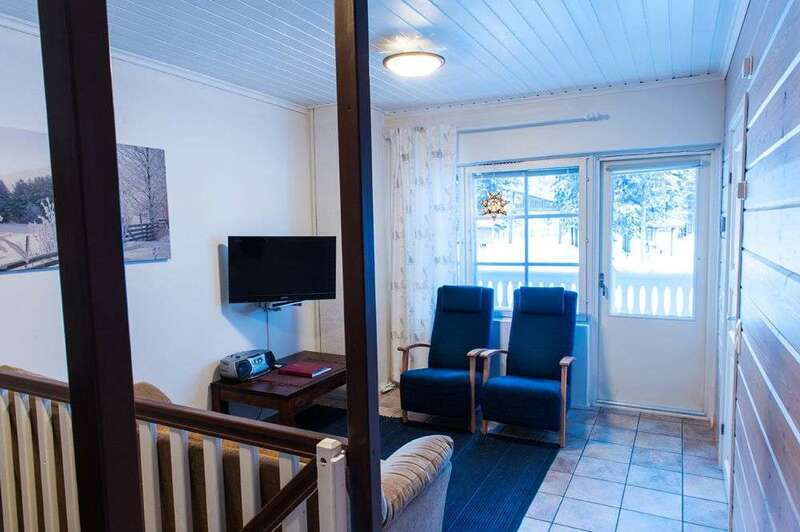 Downstairs: 2 bedrooms, bathroom, electric sauna, separate toilet, hallway and balcony. 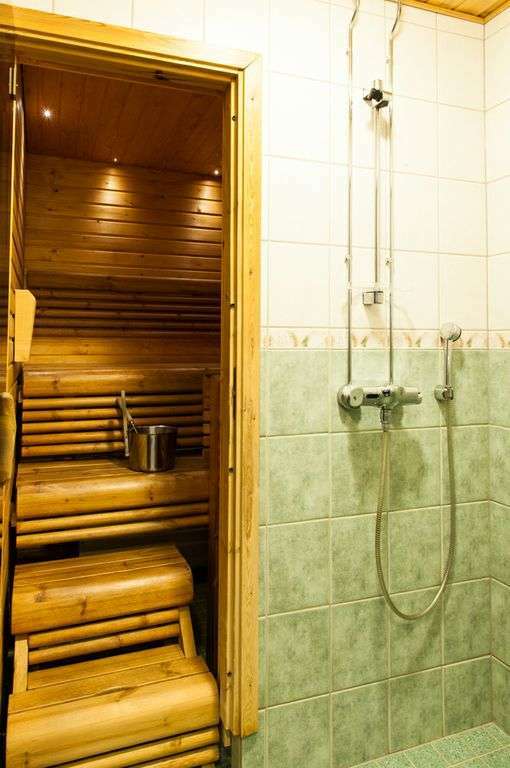 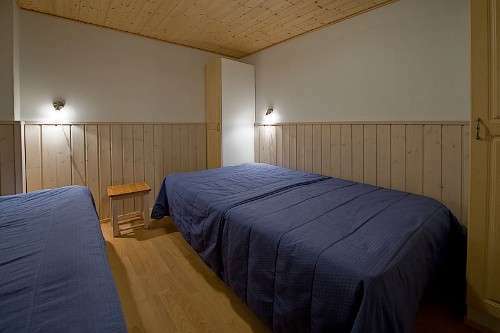 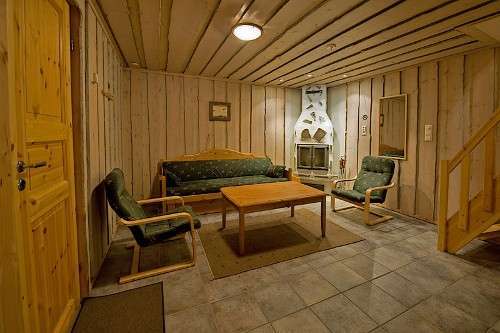 Built in 2000, partly renovated in 2012, sauna renovated in 2009. 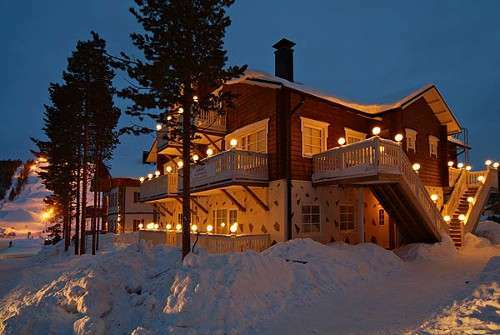 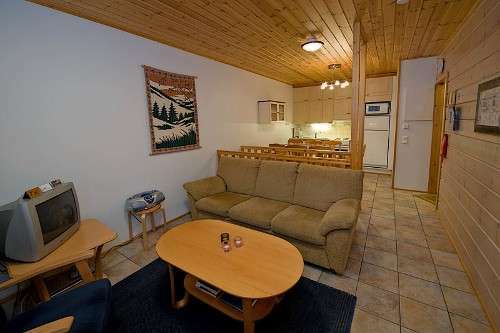 Located in the centre of Levi, next to the main slopes, on the opposite to Hullu Poro Arena. 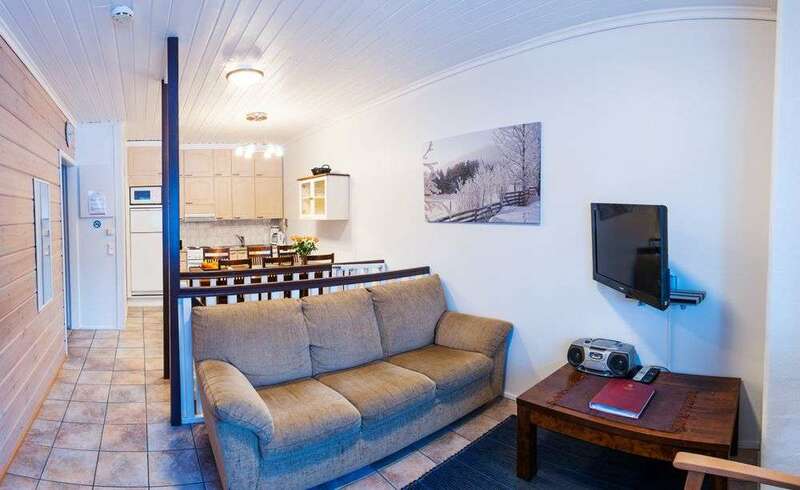 Address: Hissitie 15 E.
Distances: 40m to main slopes, 30m to skiing tracks, 30m to Hullu Poro Arena, 300m to Levitori (central market), 400m to spa, 450m to Levi Market (grocery store), 450m to pharmacy, 700m to liquor store, 900m to post office, 4.2km to golf track. 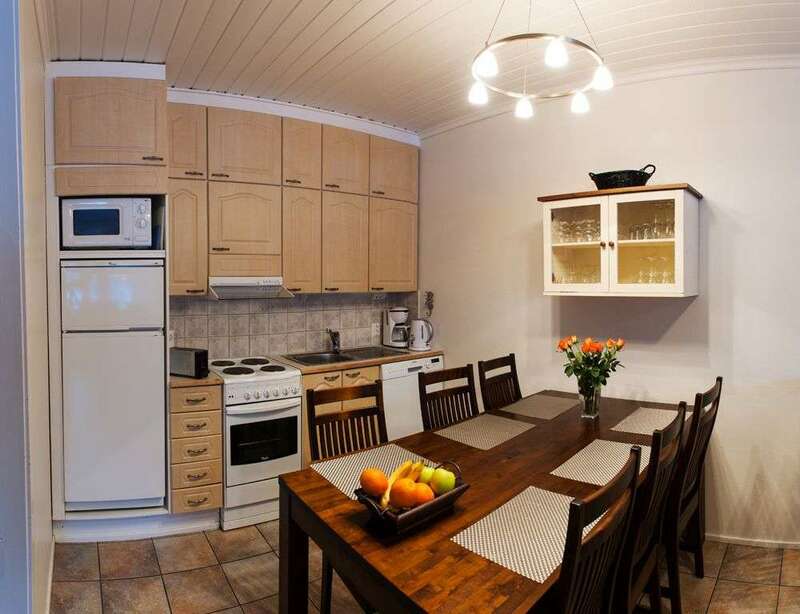 EQUIPMENT: dishes and kitchen equipment, stove, oven, dishwasher, fridge with freezer, microwave, kettle, coffee machine, toaster, CD player, DVD, TV, drying cabinet, ironing equipment, hair dryer, firewood. 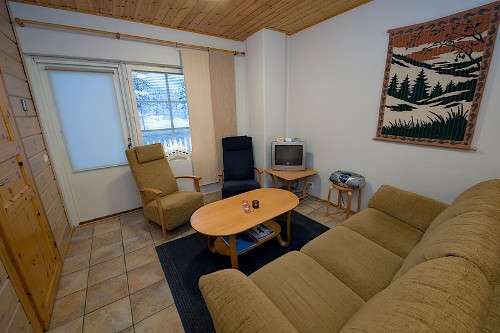 The washing machine is located in Alpine building C. A key card for each guest. 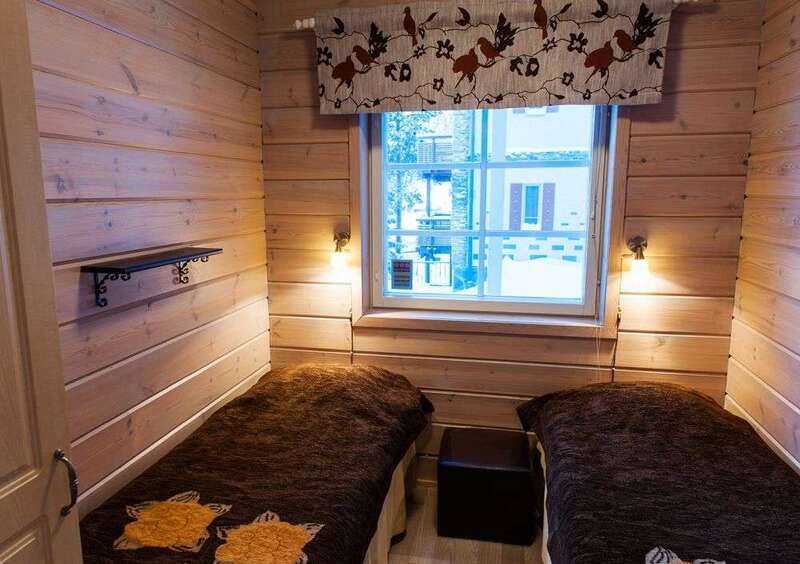 FACILITIES FOR CHILDREN: may be ordered in advance for extra pay.